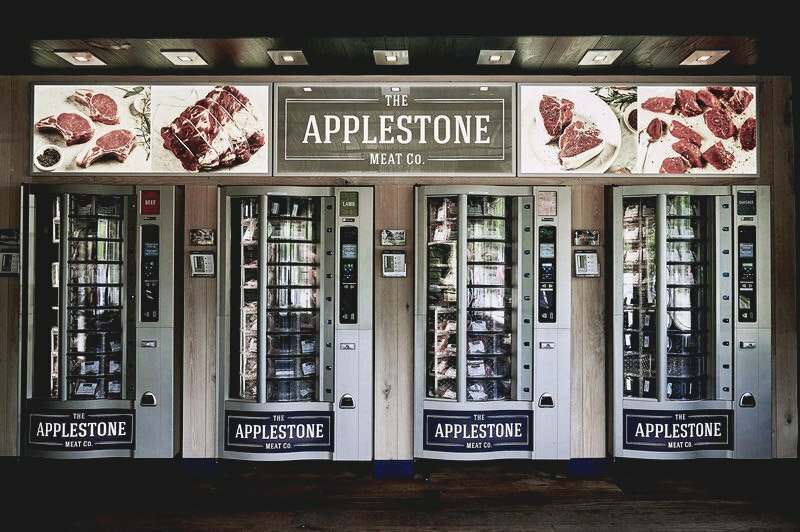 It doesn’t get any more American than Applestone Meat Co’s Meat Vending Machines. Looking at this thing, it just screams first-world country. Having the ability to buy your own high-quality meats at 2:00 AM is a luxury, not a need. Seriously, thought, all jokes aside I would not mind this type of vending machine near my house. Joshua Applestone is the owner and founder of Applestone Meat Company. He’s been at the forefront of the whole-animal butcher trend; selling organic and grass-fed meats in New York’s Hudson Valley. It just so happens Applestone is now putting his quality meats into a 24/7 vending machine where customers can stop by at any time of the day and purchase fresh cut meat. Currently, there are two different locations with meat vending machines holding beef, pork, lamb and ground meats; one in Stone Ridge, NY and the other in Accord, NY. The company is set to expand to Hudson, Scarsdale and eventually Manhattan, NY. Maybe the West Coast is next?